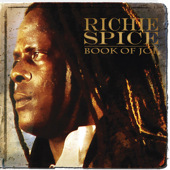 Caribbean Lifestyle Media: Richie Spice quietly released Book Of Job on March 15th. This is the unfortunate trend with some of the latest releases of Reggae albums. Unfortunately, the consumer is the last person to know that a new album is being released. Book Of Job appeared to have been promoted late and as a result we are bring the information to you late. For all the Richie Spice fans this new album is a well done album and the public should know more about it. Book Of Job is #4 on the Itunes US Charts as of March 16th.